To support the immune system, echinacea tincture (30 to 100 drops three to five times a day) or tea (3 to 4 cups a day) is very beneficial. 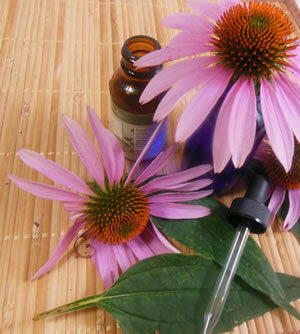 High quality echinacea root tincture will produce a tingling sensation on the tongue. Use in support of topical treatments for treating yeast infections, and skin fungus infections like athlete's foot.